Peanut butter is not one of my go-to’s in the kitchen. Especially when I’m baking, but a few weeks ago when I was invited to visit the Tillamook farm we got to try some of their ice creams smothered in between soft and chewy cookies. I jumped at the salted caramel and chocolate, but was hesitant of the peanut butter and jelly version. Something about it just didn’t sound fantastic but luckily I had Glory from Glorious Treats there to put a little peer pressure on. 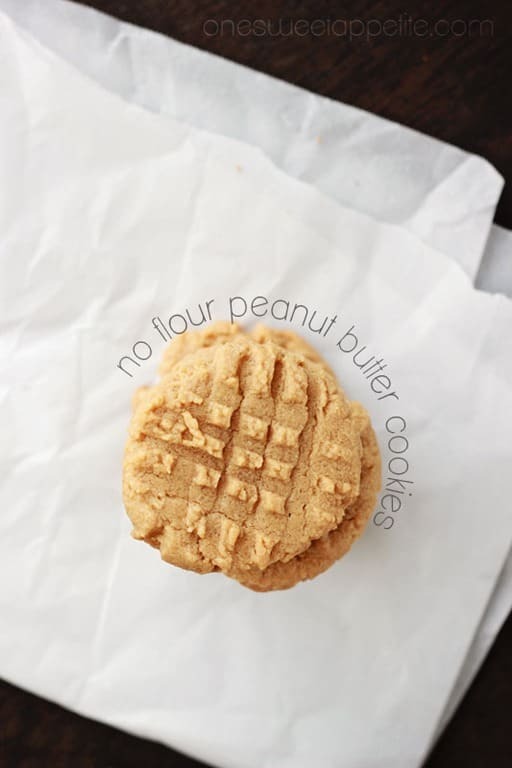 They turned out to be one of my favorite treats from the entire trip and inspired me to create these no flour peanut butter cookies! That’s right, I said NO flour. Which seems odd, right? I’ve made these two different ways. The first with my homemade peanut butter and the second with a store bought version. Both tasted equally delicious so I don’t think you’ll need to worry on which to use. 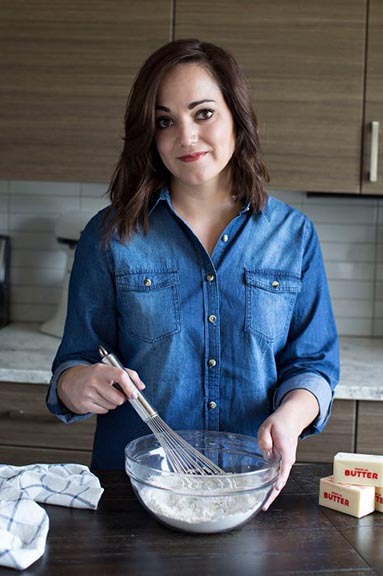 I do suggest that you take a peek at the label before you start and adjust your sugar in the recipe according to how much is already in your spread. Use a hand mixer to cream together all ingredients except for the salt. 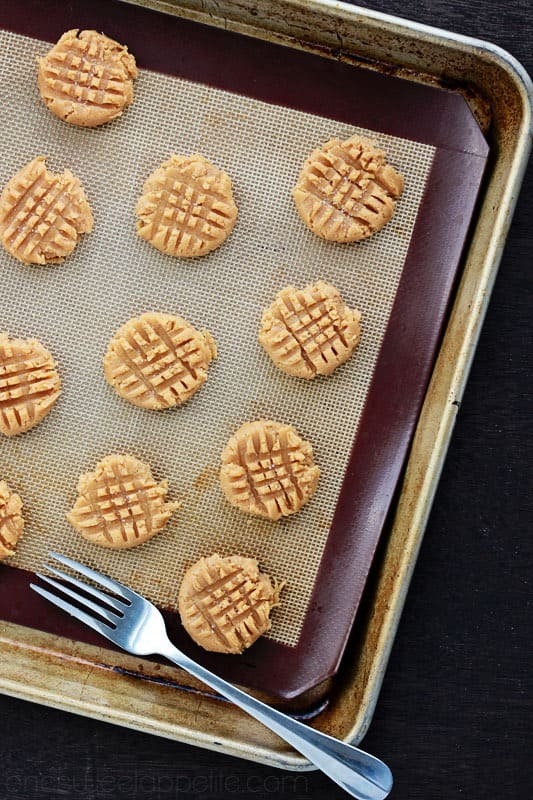 Drop tablespoons of dough onto your lined cookie sheet. 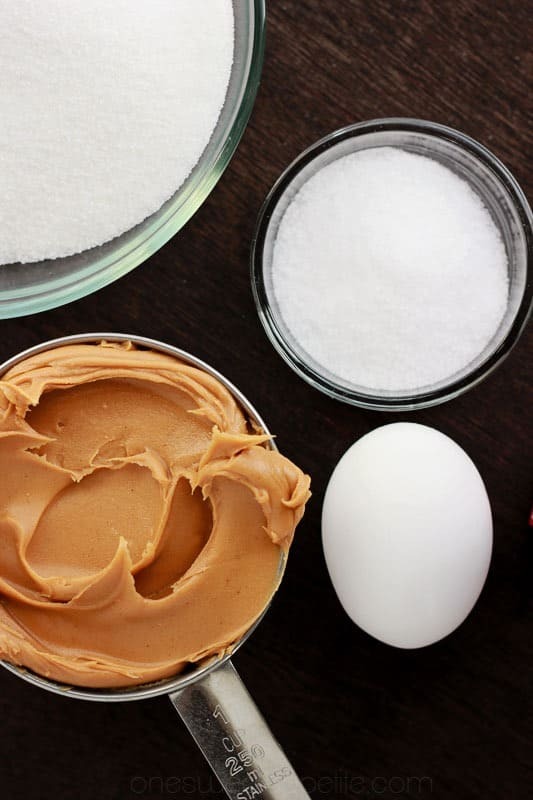 Press down with a fork to create the classic peanut butter marks.Sprinkle with sea salt if using. Bake ten minutes rotating halfway through. Now, the cookies are amazing on their own. 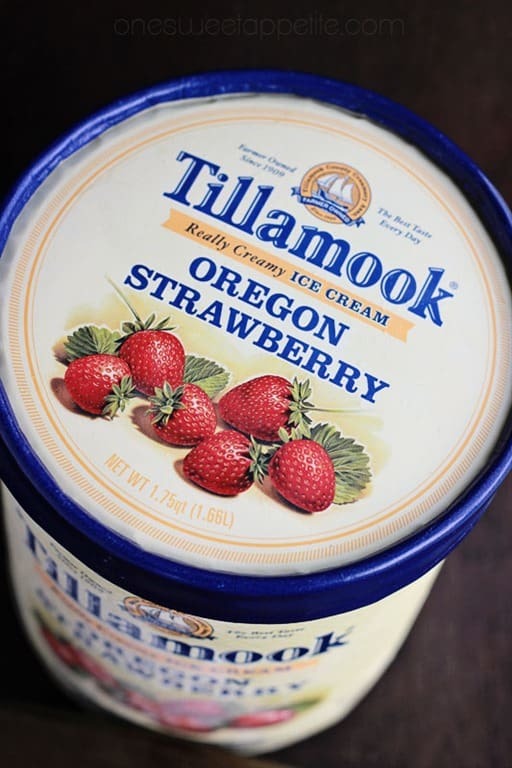 My five year old could have devoured an entire pan all on his own, but add in a little Oregon Strawberry Tillamook ice cream and you’ve got something amazing. I think this is the perfect way to end a perfect summer. These PB cookies are my favorite ones! I mean, I’m all for a traditional recipe, but there’s something so peanutty about them with no flour. 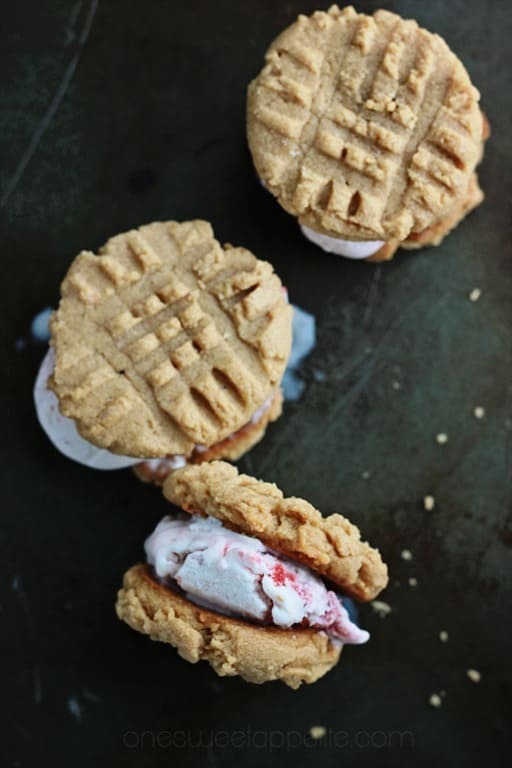 And the ice cream sandwiches were the BEST! These sound amazing! I love that they do not have flour in them, I am no longer GF but it is great to have in the cookie repertoire! Thanks for sharing! You can still enjoy these without being on a gluten free diet. They are simply delicious. choose diet shakes, be careful to choose those containing more fiber with less sugar. These look awesome! I love the ingredient simplicity of these. Definitely need to try this recipe! I’m always good for some peer pressure to eat yummy things! These look delicious! What could I use if I don’t have a lined cookie sheet or parchment paper? Tin foil or if you don’t have that just lightly mist the tray with non stick spray.